I often receive complaints from managers about hiring and working with millennials, which I find interesting, being a millennial myself. I keep hearing that we’re lazy, entitled and have no sense of loyalty. Is that really the case? Based on my experience, I would say that that there are a number of millennials who fit that description. I would also say that many highly engaged millennials do not. We can be a misunderstood group with different perspectives about work. No matter what your opinions may be, millennials will inevitably comprise the majority of your workforce. According to Canadian Business millennials (born between 1980-2000) are now the largest generation by population in Canada and the United States. As it turns out we’re not that lazy, according to researchers out of Wayne State University. This study suggested what I more often observe to be true, that millennials prefer to work smarter rather than harder. Millennials want to understand the reason behind what they’re doing and what the end result could be. Many want to know: “What’s in it for me?”, “What will I learn from this?”, “How will this benefit others and the company?”, and “How does this relate to our goals?”. Millennials are less loyal than former generations, at least according to Gallup and LinkedIn. Millennials, more so than other generations, are likely to leave employers for what they believe are better opportunities. With fewer family commitments and the stronger belief that now is the time to find their best career, why not? I have seen some very loyal millennials stay where they are because they love their work, enjoy working with their boss, and, most importantly, they see themselves with a future in the company. We may be more likely to be labelled as “entitled” because, according to a National Institute of Health study, narcissism is closely linked with entitlement which is much more common in people in their 20’s than in former generations. Millennials have been told they’re special and that they can achieve great things from an early age. When it comes to managing others with a high sense of entitlement I recommend guiding them to understand what is realistic by clearly communicating expectations. As it turns out, clearly communicating expectations isn’t easy. In a study by Espinoza, C., & Ukleja*, millennials commonly misinterpreted managers’ comments and thus confusing development advice for clear advancement opportunities. We’ve seen these traits of laziness, entitlement and low loyalty diminish among millennials who have clear and attainable career and performance expectations. Here are my top 3 tips to address this with millennials in the workplace. Having clear career pathing with required knowledge, skills, ability and experience required to move to the next level. This is a great tool to have to accompany processes for compensation, succession planning, training and development, performance management and even recruitment. It helps your employees understand the expectations of how much they’ll need to grow before they are ready for a promotion. We have a free career pathing structure template available on our site here. A clear compensation philosophy for employees to read and discuss with their managers helps everyone to get on the same page. It makes it clear for employees to understand what the company chooses to reward financially, how it chooses to benchmark itself in the market and the conditions required for salary increases and variable pay. A pay structure, whether you disclose the ranges or not to your employees, will give managers reference points on how much an employee or candidate’s salary can grow for them in their current role. Many millennials have grown up with getting and expecting regular feedback and recognition. We’ve seen great results when we’ve helped our clients move from having performance reviews annually to twice, or better yet, four times a year. Often we’ve used technology to reduce the burden on managers and employees to facilitate the regular meetings. The more development focused and future focused the reviews are, the better we see millennials respond. We’ve also seen great results from implementing weekly or bi-weekly informal, casual, undocumented one on one check-ins. Clear career advancement expectations, a clear compensation strategy and structure and regular feedback aren’t desires that are exclusive to millennials. 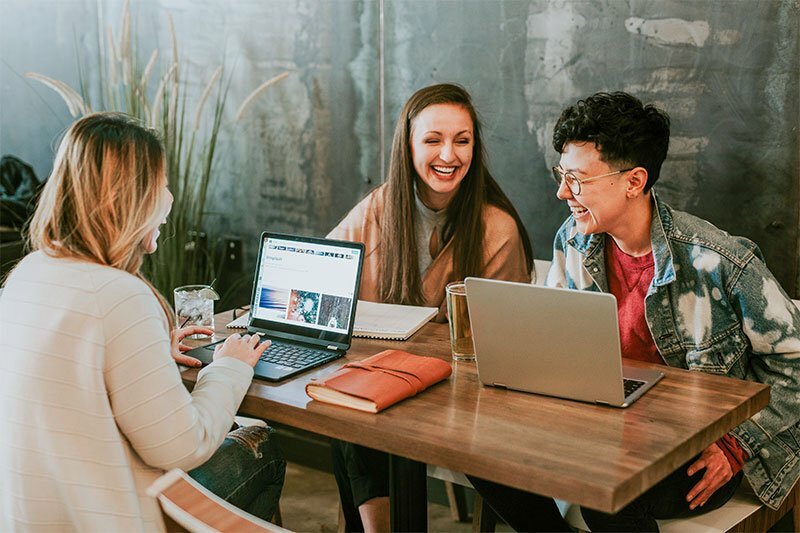 Millennials may be more vocal about these wants however employees of all generations appreciate the clarity that comes from all of these programs. Setting these three programs up will take time. Before you get started and before your millennials think about leaving, I recommend sending a message that you care about their future with the company. Weekly or bi-weekly one-on-one’s are a great place to start. In your first meetings ask each of your employees individually (millennial or not) about their career and learning goals. As it turns out, no matter the generation, we still want the same things out of our careers. *Espinoza, C., & Ukleja, M. (2016). Managing the Millennials: Discover the Core Competencies for Managing Today's Workforce. Hoboken, NJ: Wiley. Andrea has over 7 years’ experience in human resources across multiple industries (mining, manufacturing, property development, construction, retirement care, retail and government) in the provinces of B.C., Manitoba, Ontario and country of Brazil. She has specialized in recruitment, human resources information systems and process improvement. Andrea has also worked as an HR Generalist covering areas such as HR compliance, employee relations, training design, training facilitation, leadership development, succession planning, performance management, organizational culture, compensation, benefits, and health and safety. A relationship builder with an analytical mind, Andrea looks for opportunities to improve organizational effectiveness and strengthen employee engagement by aligning people, processes and systems with organizational strategy. Andrea is a Chartered Professional in Human Resources. She has an MBA from the UBC Sauder School of Business and a certificate in Human Resources Management from Seneca College. In her spare time, Andrea lends her expertise to various non-profits engaged with Social Venture Partners and to the Chartered Professional of Human Resources Association’s Awards Committee.